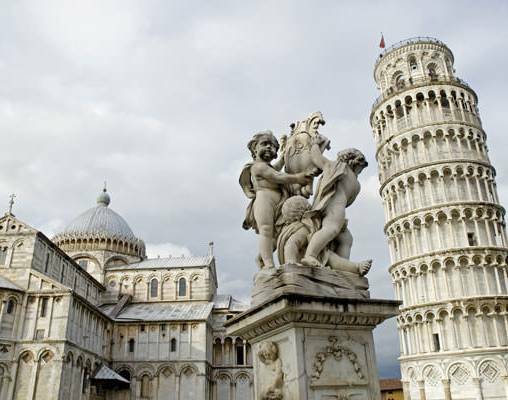 Reveal the true colours of this acclaimed region on a tour of the highlights of Tuscany. Today we take an excursion deep into the heart of the Tuscan countryside, traveling by coach through the undulating ochre-coloured hills and past countless lonely farmhouses. 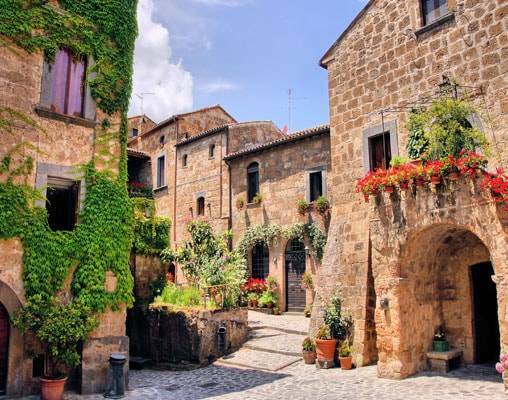 Our first destination is charming San Gimignano, a striking walled village with a delightfully rural feel. 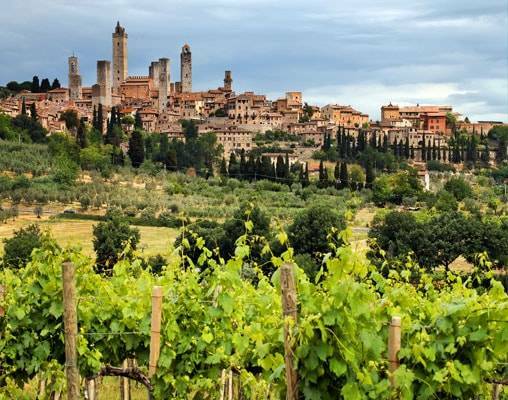 The village is perhaps best known for the thirteen towers dominating the skyline, visible for miles around, which were built by competitive Tuscan families in the Middle Ages. 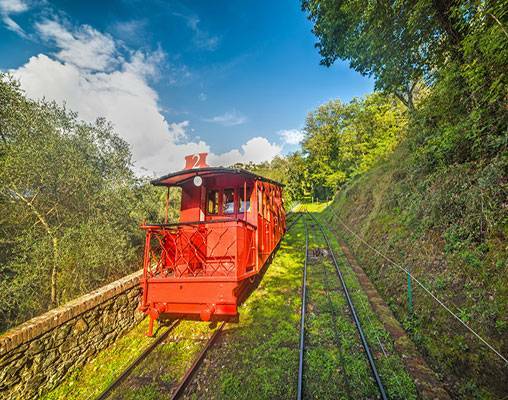 This morning we travel by rail (Standard Class) to Lucca - Tuscany's best-kept secret; a place of true beauty that has managed to escape the tourist crowds. 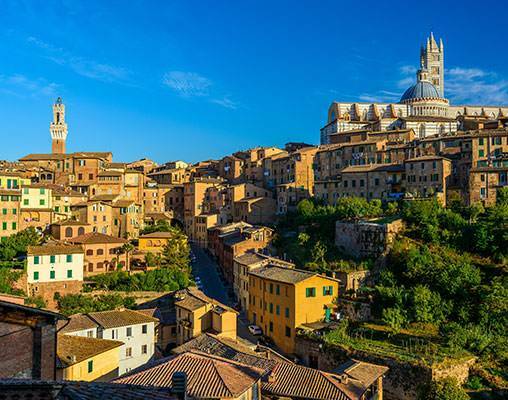 Majestic city walls encircle a Roman and medieval heart packed with piazzas, art galleries and tiny churches, all connected by an intricate network of narrow cobbled streets. 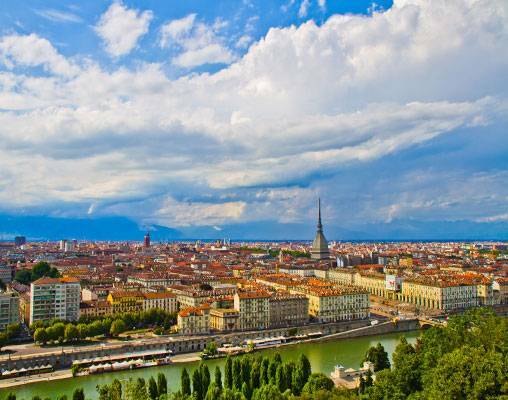 A stroll around the wide walkways along the top of the ancient ramparts is an excellent way to discover the true charm of the city, while you can get a bird's eye view from the Guinigi Tower, which has an oak tree growing from its top. Leaving Montecatini after breakfast this morning, we travel by coach to Florence, then by high-speed rail to Turin, where we spend the night. Introduced in 1981, France's TGV (Train à Grande Vitesse) was the original European high-speed train. Linking Paris with Lyon, the new service revolutionized train travel and meant that traveling by air over medium and short distances was no longer seen as the best option, even for business travel. 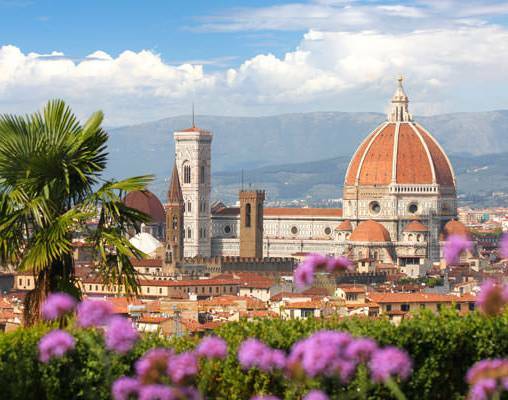 Enter your details below if you would like to be notified when 2020 dates and prices are available for Highlights of Tuscany.